Backlit displays are everywhere. You’ll find them in high-profile places like airports, department stores, bus and train shelters, mass transit stations, mounted on the exteriors of downtown buildings, inside sports venues and museums and many other places because they are among the most powerful merchandising media out there. No matter the setting or the product or service being displayed, the lighting makes an image leap out of the frame and come alive. 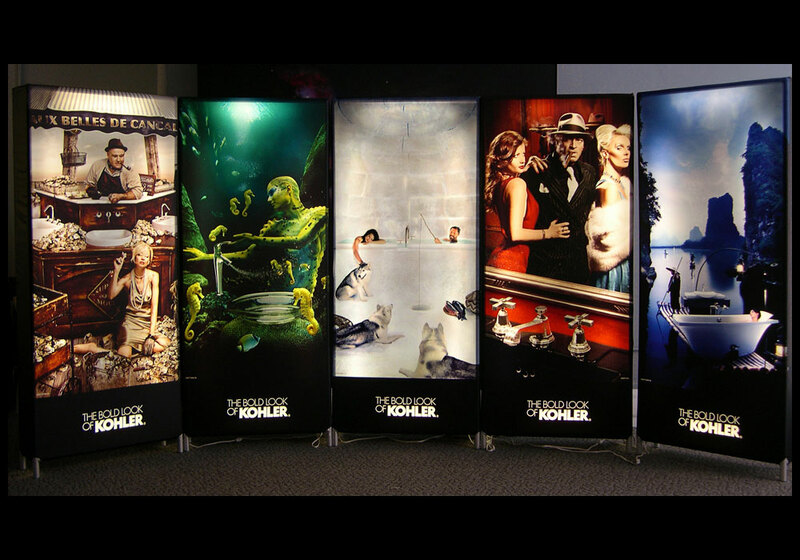 We have been one of the pioneers in the backlit display printing industry. We excel at crafting custom backlit displays in unorthodox shapes and sizes that command attention and provide outstanding return on investment. Want to increase brand visibility? 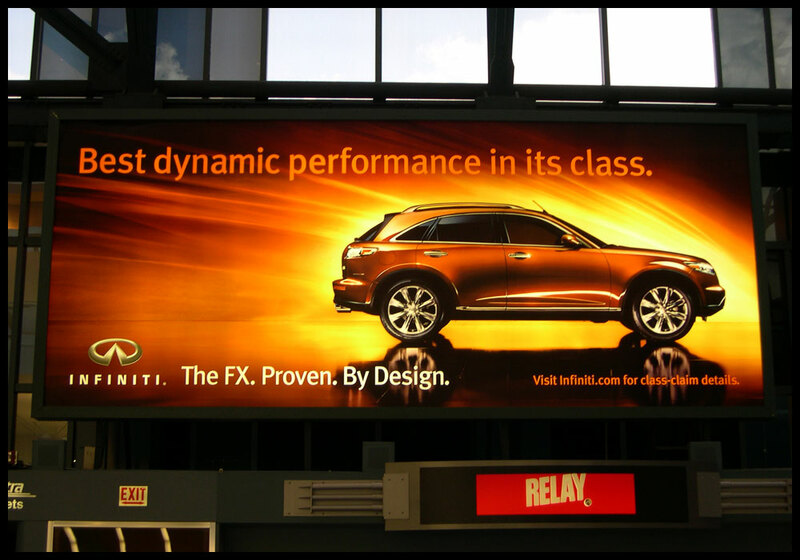 Then our backlit displays are an excellent choice as stand-alone marketing fixtures or as part of multimedia displays. 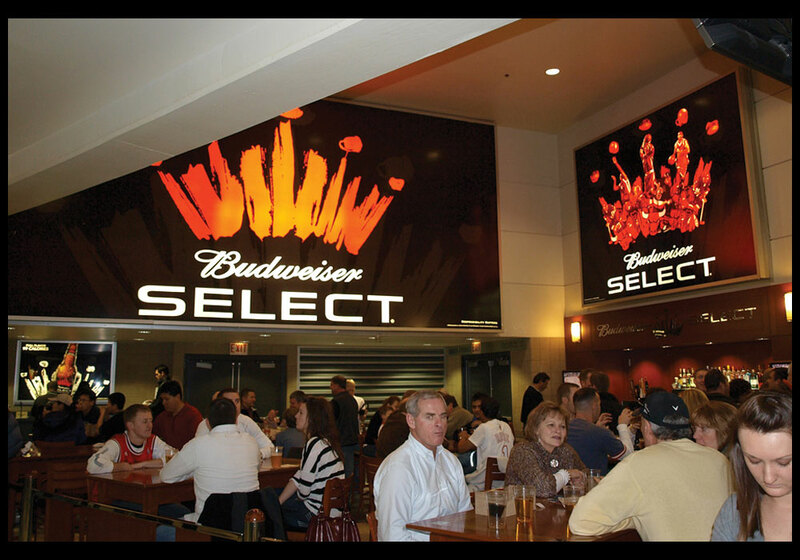 For more than 30 years, we have designed, manufactured and delivered a variety of backlit displays. 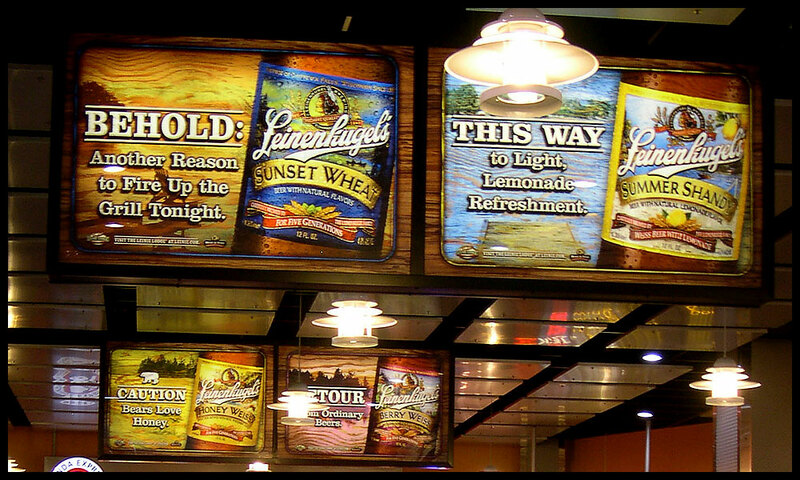 Our latest backlit displays use LED lighting, which reduces electricity usage, creates thinner light boxes of all shapes and reduces heat. How effective are backlit displays? Numerous studies have proven that backlit displays attract a much higher volume of attention than other display media and increase product recall by more than 50 percent. In-store backlit displays are uncommonly powerful for informing purchasing decisions, and they increase sales of the featured product by an average of 13 percent. Intrigued? Feel free to explore the thumbnail images to see examples of our backlit displays and imagine what they can do for your organization’s goods and services. Then give us a call at 312-666-2844.